An AMD Black Edition processor for just £65? What devilry is this? Well, despite the arrival of the improved Phenom II, the lower end of the scale is where AMD still overwhelmingly operates. An unlocked CPU multiplier for easy overclocking is a feature that only comes with Intel CPUs costing well above £500. The 7750's other item of interest is 2MB of shared L3 cache. 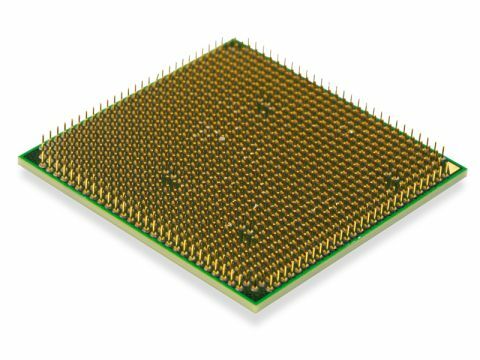 That's right, this chip is actually based on the first-generation 65nm Phenom architecture and therefore benefits from a few added extras included wider floating point execution. Overall, a pretty nice dual-core CPU at the stock 2.7GHz operating frequency. The only slight let-down is its inability to clock beyond 3.1GHz.